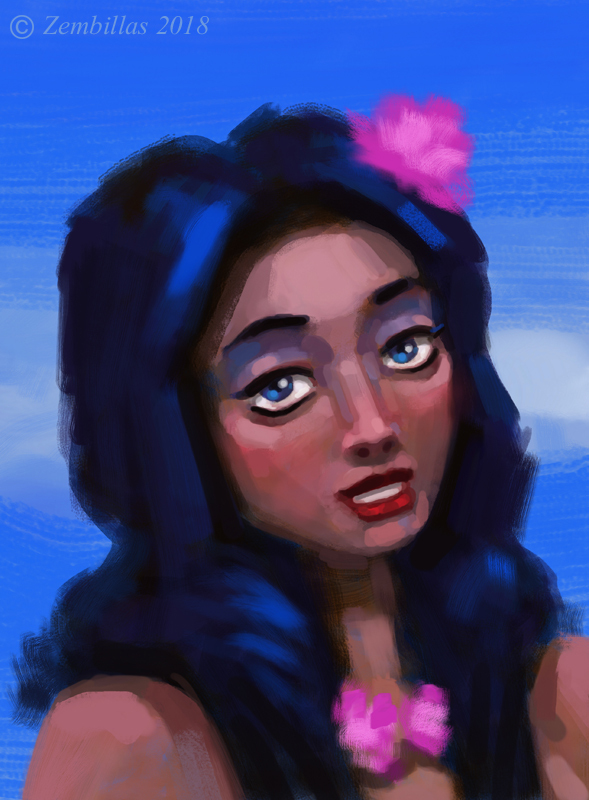 One of my online students told me about a digital painting program he's using that is similar to Photshop. It's called Krita and the good news is that it's fee to download on your computer. So I did and this evening I took some time to doodle a color sketch and test the tools especially the brushes. Works great! This is what I came up with. A used a whole bunch of brushes to see what the effects would be. It may be reflected in the hodgepodge of shapes of color within the composition. Also I used an old Bamboo graphics tablet from Wacom to do the art. It's a very crude input device but it worked out okay plus it's excellent practice to use technology this challenging. If you can do it with a Bamboo you can do it with just about anything. If you're interested in Krita follow this link to the company website and try it out for yourself. An excellent alternative to the more expensive programs.